This article was previously published in the World Economic Forum Blog, on August 7, 2017. Until recently, almost all of Venezuela's mostly urban and educated population had access to clean drinking water, sanitation facilities and electricity. It was an affluent country, with the largest proven fossil-fuel reserves in the world. But its economy is shrinking at an alarming rate, while at the same time inflation is spiralling out of control. Poverty and violent unrest have ensued. What went so wrong? Here’s a closer look at Venezuela’s economic collapse. The heady days of 2001 – when Venezuela was the richest country on the continent – are long gone. The economy shrank by 18.6% last year. In 2017, it’s 35% smaller than it was in 2013, at least in terms of GDP, and 40% lower in GDP-per-capita terms. Inflation stood at an eye-watering 800% last year and there have been predictions it could reach 1,600% by the end of 2017. The country’s currency, the bolivar, has been devalued to the extent that is basically worthless. The official rate of exchange between the bolivar and the US dollar is roughly 10 bolivars to the dollar. But in reality it’s closer to 10,000. Analysis has shown that, at the end of July, a dollar was worth approximately 10,389 bolivars – up from 8,000 just a week before. Controls on foreign exchange and prices of basic goods have caused significant issues. So too have unrestrained public spending and the state siphoning from private industry. Another key cause is the mismanagement of the state-owned petroleum company, PDVSA, which provides almost all of Venezuela's export revenues. In its heyday, the Venezuelan economy was fuelled by oil revenue. Venezuelans look back wistfully to a time when oil was priced at $100 a barrel. The plummeting price of oil, which sank as low as $21 a barrel last year, has come as a hammer blow. This has been further exacerbated by falling levels of production. Output fell by 10% last year and no rise is likely in 2017. Unfortunately there doesn’t appear to be much light at the end of the tunnel. Some hope that oil prices will begin to increase – but the signs don’t look good. Shortages of basic supplies such as flour and rice and spiralling prices have led to food riots and lootings. 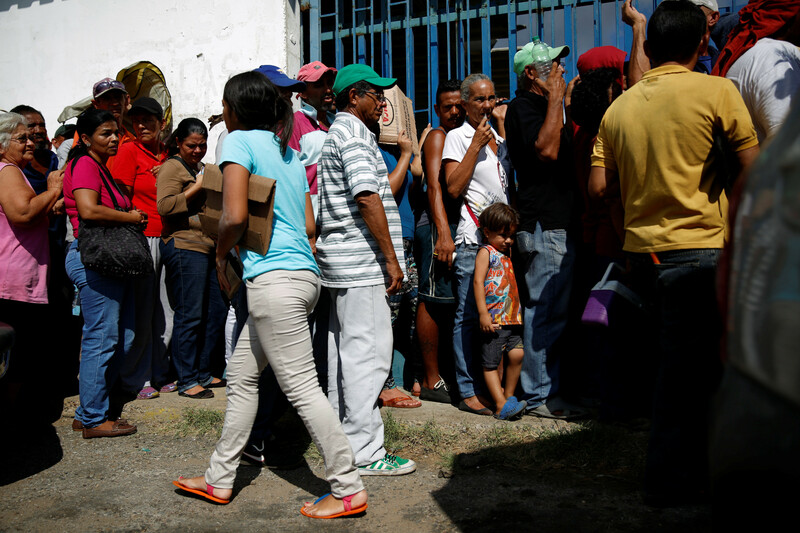 Many Venezuelans are going hungry. Anecdotal evidence has emerged of people feeding off scraps, with some forced to dig through garbage left outside shops. The few who are fortunate enough to be able to afford to eat out are unsure how much to pay for their meals, as confusion over currency fluctuations means certain restaurants no longer use standard pricing. Some shops weigh bank notes rather than take them at face value. With the cost of consumer goods skyrocketing and the quality of life nosediving, it’s no surprise that many Venezuelans are looking to leave the country. This has resulted in long queues at passport offices. It can then take months before applicants actually receive the documentation they need to start a new life abroad. Elsewhere in South America there is a real worry that the sheer number of people trying to flee Venezuela could spark a full-scale migrant crisis. Months of anti-government protests have left more than 120 dead and hundreds injured. And tensions have ratcheted up further over the recent election of a new assembly that could overhaul the constitution to give President Nicolás Maduro sweeping powers. 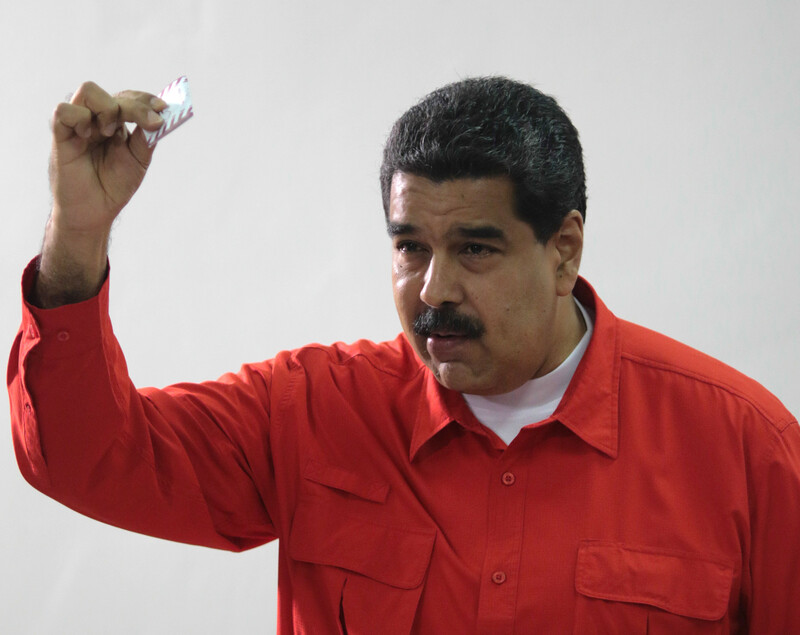 Venezuela is currently on a knife edge. A strengthening of the economy could yet pull it back from the brink of civil war. President Maduro has previously been optimistic, stating that 2017 will be the “first year of the new history of the Venezuelan economy”. Time is running out for that prophecy to be fulfilled.